Reality suggests there are many ways in which resources are allocated within an economy, not just one. Economics, as it now exists in its mainstream or standard form, has withered to study just one: that which takes place in markets — where markets are strictly defined in such a way as to guarantee outcomes compatible with a certain ideological perspective. As we have discussed before this trajectory for the discipline was deemed essential for the mainstream to construct a logical defense against the mid-1800s criticism of early industrial capitalism. It continues to act as a defense against more contemporary critiques as well. In so doing it adopted a hostile and denigrating stance to alternatives. “Markets good, all else bad” subsequently became a standard mantra, which is why mainstream economics is inherently anti-democratic. It has no tolerance for anything other than its preferred market mechanisms, and, by obliterating non-market forces from its purview, has steadily retreated from being a “social science” into becoming more of a “pseudo science”. This obsession with principle rather than reality bedevils economics, and often renders it irrelevant as an explanatory system for what we see around us, but it does give convenient cover for economists who want to avoid the non-market methods of allocation available to society. It also allows them to criticize such methods where they dominate market forces. They scoff at efforts to alter the result of market-based allocation through redistribution as a well-meant, but foolish, attempts to muck with fundamental forces. Economists like to think in terms of “the laws of economics” rather than the “social constructs of economics”. The discovery of laws dignifies economics as a science. That there are social constructs would relegate it and put it on a par, at best, with sociology and political theory, which would offend the feeling of superiority rife amongst most economists. Uncomfortably for economics those social constructs do exist. After all a market, no matter how purified it becomes in theory, is simply a group of people behaving in certain ways and towards certain ends. A group of people is sometimes called a society or a collective. And societies and collectives are breeding grounds for politics. The introduction of the social and political implies the introduction of power. It brings into sharp focus the struggle over the distribution of wealth and incomes; and it ought to make us think about the historical development of modern politics. Unfortunately, though, history is another taboo in mainstream economics. History teaches us that the predation of capital owners, when left unfettered, is antithetical to any vision of even the lumpiest of equal citizenship. Money will concentrate and, thus, so will power. The pretense that market processes will magically prevent inequality is proven absurd. On the contrary, inequality entrenches power, and power entrenches inequality. Markets are used as engines by the powerful to empower themselves. That represents such a challenge to mainstream theorists that they have abandoned any discussion of inequality. Indeed they demean efforts to suggest that inequality is a topic worthy of serious discussion. Despite that, the challenge of inequality exists. That quote is taken from a book, “The Decay of Capitalist Civilization”, written in 1923 by Beatrice and Sydney Webb, the British socialists. First, at the time it was written economics was in turmoil and economies were heading towards disaster. Capitalism as we now know it was young — a hundred years old or so — and thus there was no long term perspective. The social upheaval of the first stage of industrial capitalism had not yet been met with a suitable, or effective, counter. The Marxist critique, with all its grim and apocalyptic language, had accurately described the consequences of that original upheaval, and it was still possible to couch economic discussion within its ambit. So defining society as a stark confrontation between capitalists and workers, without a middling sort, was perfectly acceptable. Second, the Webbs clearly did not expect that giving workers the power to enforce political demands on the national income would ameliorate or reduce the starkness of their depiction. They fully understood that workers want to co-opt the wealth capitalism produces. What they didn’t see is that this can be accomplished by forcing politics to become more democratic. The Webbs were stuck in a misunderstanding of the way in which power can be shared. They still saw things in the stark terms of the Marxist critique. They can be forgiven for this, of course, since they were writing when capitalism appeared about to collapse and at a time when the Marxist experiment in the Soviet Union had not revealed itself as being an exercise in tyranny rather than in liberty. We now know better. Thirdly, and more abstractly, it accepts that mainstream theory’s factors of production are correct. John Bates Clark had stated the case for the mainstream most clearly back in 1899 when he argued that in a competitive market equilibrium the two factors of production, capital and labor, would be paid their marginal product. This “marginalist” explanation of the results of allocation remains the foundation for purist economists seeking to avoid having to deal with non-market forces; but power relations do indeed exist as an economic factor: it is how the pie actually gets carved up. Marginalism is a failed attempt to expunge power and to create a mathematically fine way of getting around power relations. Clark thinks we get what we deserve. The Webb’s think we get what we seize. It is a clash of extreme moral views, with each side expressing itself in its chosen methodology. Neither is correct. The actual factors of production are: energy, natural resources, and knowledge/information. Capital and labor are terms defining a socially determined power relationship that sits above the factors of production in order to allocate the wealth created below. The use of the capital-labor duality as fundamental inputs into economic theory harks back to the days of political economy, before marginalism attempted to expunge power. It is odd that economics carried this duality forward without attempting to get at the deeper reality — especially given its obsession with discovering “laws”. And the historical process set in motion by the upheaval Marx described so well has also not ended. It is still in motion, just as capitalism itself still evolves. Modern social democracy has been the solution most industrial societies adopted to solve the Webbs’ conundrum. Workers have the vote and hence the power to enforce their demands on the capital owning class. The balance is between democracy and capitalism. It is that balance we need to get right. We do not need to cast the conversation or argument in apocalyptic terms. To deal with inequality, we do not need to rid ourselves of capitalism, we need to restore our democracy. Our current difficulties, both political and economic derive from the imbalance created by neoliberalism, which, in turn, is given its intellectual credibility by the neoclassical version of mainstream economics. Thus the irony of mainstream economics is revealed: by denying the impact of power relationships in the allocative process, it has allowed capital to take too dominant a position. It has played a role in politics. It has facilitated a power grab. Or, perhaps, this is not an ironic and unintended consequence. Perhaps it was intended. The libertarian founders of both neoliberalism and mainstream economics detested democracy as something far too close to socialism. To them democracy was a step on the road to serfdom and the so-called laws of economics stood as an insurmountable barrier defeating any wishy-washy well meaning efforts by democrats to soften the edges of red-blooded market forces. Yet, to repeat, power exists. The arbitration of the outcomes of allocation is a tussle taking within place both the economic and socio-political domains. As family members, citizens, and consumers we can affect both. We express power through what we buy and through how we vote. In other words, how we exercise our power is what drives and defines the basic relationships within a modern political economy. No analysis of an economy can be complete without recognizing that allocation or distribution has many sources, not just one. Here I add from past notes for democracy to work al participants must be answerable to others regardless of wether they are politicians, public servants or ordinary citizens. Further the quotes were written in two thousand and observations of the events in the last twelve years make it more imperative than ever that the public are fully informed. For example the neo liberal policies of selling of the states essential services without genuine consultation with the people, smacks more of a dictatorial capitalist state that ignores democratic principles. After all, the essential services were created by the people, for the people with their money. This following quote certainly describes how current leaders have circumvented democratic principles with their introduction of the neoliberal policies. “Thus modern leaders have greater scope to pursue objectives which are not those of their followers while , for the same reason, the followers have a much reduced capacity to bring errant leaders to heal”. “Thus modern leaders have greater scope to pursue objectives which are not those of their followers while, for the same reason, the followers have a much reduced capacity to bring errant leaders to heal”. I agree with the analysis. Indeed; “Power matters”. As you say; “Economists like to think in terms of “the laws of economics” rather than the “social constructs of economics”.” The rules of the (capitalist) game are social constructs. They are imposed from above by the elites either by force or with stratagems which nudge the population into compliance. 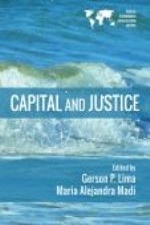 The Capital as Power (CASP) analysis develops the thesis of capital as power (as its title suggests) and I recommend people read that book. My own investigations in this arena have suggested to me that we need to examine the economy as a system of rules and laws. The laws are the fundamental laws of physics and ecology. Thus, disciplines like Thermoeconomics, also referred to as biophysical economics, are fitted to study this aspect of economics. Clearly the impact sciences studying fields like ecology, eco-services, climate science etc. are crucial to this kind of investigation. We cannot blindly apply production science without studying its extant and potential impacts and then modifying or even easing production accordingly to ensure human and ecological survival long term. The rules of society (of politics and socioeconomics, as they entwined) are elaborate prescriptions for action. As such, they are algorithms. This is true in so far as they are clearly defined rule sets which are consistently applied. What we have to consider is what happens when an algorithmic rule set meets a real system fundamental law set. Rules, as algorithm sets, may be fundamental-law-compatible or fundamental-law-incompatible. When these rules as an algorithm set are fundamental-law-incompatible, the incompatibility might not be immediately apparent. That is to say, the socioeconomic system will have to run for a period of time before the incompatibility becomes manifest as an approach to an asymptote limit, as which point the system will have to unwind or collapse. Its own rules must be repealed or else they will be broken by the inability to operationalise them in the real system and/or by disobedience and rebellion. People rebel when rules become unworkable or onerous for them. Clearly, the approach to the limits to growth and the approach to dangerous climate change represent asymptotes towards which the algorithmic rule set of capitalism is piloting us. This will continue to happen as long as we fail to change the rule set. The choices are these; change the rule set in time or near-approach the asymptote where both systems (physically real and socioeconomic) become dangerously unstable and thence collapse uncontrollably. Rather than being a law in the sense of the fundamental laws in science, Piketty’s “law” is in fact a guaranteed outcome of the algorithmic rule set of financial capitalism. The outcome is guaranteed as an approach to the asymptote. However, the increase in inequality has a natural human limit. The hard natural limit is when humans starve and die. A psychosocial limit is reached when people rebel against being pushed too close to the hard limit. The psychosocial limit can tend to be reached much sooner when we consider relativities. If enough people see their situation becoming much worse relative to their own past, or relative to others they compare themselves with or even relative to their hopes, then a position of desperation will be reached eventually and social order will break down. Unfortunately, capitalist market economics is a faith and not a science. This is why it ignores scientific evidence and keeps prescribing its method as the way to enter the promised land of the endless cornucopia of goods. The “day prophecy fails” is an important factor in bringing down cults. The cult of market economics will collapse when ecological and societal collapse become real, present and undeniable dangers to the majority of the population. The task is to have a new economics ready to implement based on science, democracy and consequentialist rather than deontological ethics. Thank you, Peter, for this terrific post, which I plan to distribute to foment discussion among my friends and associates. My comments here will be a bit scattershot, there is so much to discuss here. First, taking the last, “power matters”. Right-on. And I’ve come to a place in life where I am less likely to read anything that ignores that important matter, as well as those writings that ignore socioeconomic class. Second, as Mason Gaffney has shown, John Bates Clark and his associates not only were defending capitalism, they deliberately redefined land as capital to take away some of Henry George’s thunder. Third, today I have read a terrific essay with an intriguing title, “The Man Who Saw Trump Coming A Century Ago” (www.tomdispatch.com/post/176550/tomgram%3A_ann_jones%2C_our_veblen_moment/). My grad school professors, self-described “liberals” all, explicitly dismissed and disrespected Thorstein Veblen and the ideology of Institutional Economics as “irrelevant” and “passe”. I find today rereading Veblen’s classic The Theory of the Leisure Class quite refreshing and entirely current and relevant. Fourth, I disagree with one statement: “To deal with inequality, we do not need to rid ourselves of capitalism”. I find your optimism refreshing, but do not share it. Partly because my long experience in supporting campaign finance reform tells me that it may not be possible in today’s political climate and degree of global corporate capital power. I’d love to be proven wrong. I await the inevitable collapse of the power of capital, but I’ll not live to see it. Economies are graphs. The best descriptive tool for an economy is a graph with nodes and edges. A family is a very different looking graph than a company. Money is a tool for finding cycles. A market is a tool for creating edges. The edges for money flow and value flow are not symmetric, and we need to study both. Inequality is a low imbalance. Pavlos, forgive me if I have asked this before, but would you provide a few papers I can read on “economies are graphs.” Hopefully one’s easily accessible and not behind pay-walls as I am in Japan and don’t have easy access to professional journals. As a software engineer I find this interesting. Unfortunately there is no chance of power relations changing any time soon. Power is now concentrated in the hands of a handful of ultra-billionaires, who, do not even trust each other, let alone their economic advisers. The circus that was once Economics should now officially be declared a small zoo runs by Alpha-Males in competition with each other. One reason “there is no chance of power relations changing any time soon” is that, in my direct experience in my part of the culture, people avert discussion about power, for whatever reason. If we still live in even a semblance of democracy the way it works is still that citizen constituents put pressure on their representative leaders. And if we do not understand power because we never discuss it, our pressure is nothing. It must be more than complaining about the ultra-billionaires. Settling for complaining weakens people; thus no people-power. Indeed. 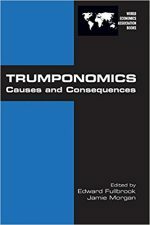 What could be more politically powerful than a single policy implemented at a strategic point in the economic/productive process that immediately resolved individual monetary austerity/scarce business revenue for the usually opposed constituencies of the individual and the small to medium sized business community? Integration of opposites and universal benefit are key signatures of paradigm change. Hence the question why do people settle for complaining about the situation and then do nothing. These examples reflect how anthropologists look at power. All power is social. But which elements are emphasized in the different versions of power? Anthropologists divide power as follows: money or wealth power, social class power, physical force, persuasion, fame, and tradition. Within each of these there is Interpersonal Power: The ability of one individual to impose his or her own will on another individual or a group. Organizational Power: Highlights how individuals or social units can limit the actions of other individuals in identified social settings. Structural Power: Organizes social settings themselves and controls the allocation of social labor within each setting. Power is part of what anthropologists call social stratification. Stratification is the arrangement or classification into different groups. Social stratification is hierarchical relationships between different groups, usually based off inequality and access to wealth, power, and prestige. Some anthropologists believe social stratification is necessary to keep a society functioning. Social stratification takes many forms. A class structure that is determined by birth is a caste system. Gender is often part of the stratification system. In patriarchal societies, men rank above women of the same race and class, and in matriarchal societies, women are ranked above men. The degree of social stratification in a society is dependent at least in part on what type of society it is. For instance, in a hunter-gatherer society or a pastoral society, there is little stratification, because everything is shared. In an industrial or post-industrial society, stratification is greater, particularly in economic disparity. The reason for economic stratification is that in the modern workplace, the amount of money that someone earns varies greatly based on location, education, competence, chance, and of course criminality. The CEO of a large corporation might be paid billions of dollars each year, while the lower level employees of that same corporation might make minimum wage. In societies stratified along economic lines redistribution of wealth can change the pattern of stratification. We must parse your statement to determine if it’s workable. “We express power through what we buy and through how we vote. In other words, how we exercise our power is what drives and defines the basic relationships within a modern political economy.” Purchasing decisions are one form of power. But other forms can counter it, even negate it. For example, iPhones sell by the billions around the world, even though it is common knowledge the phones are made in sweat shops in China in which most of the difference in price vs. production cost is retained by Apple, Inc. As to boycotts, there have been few attempts at product boycotts in the 21st century. Voting is even more in jeopardy than purchasing changes to influence societal structures. In this century alone millions of Americans, for example have lost the suffrage for illegitimate reasons. The theft of suffrage has become so common in the United States that it now has its own identifier, “voter suppression.” To make changes through the vote one must be free to vote. That is no longer the case in the United States. Most of the means to implement voter suppression (mostly state laws) in the United States have been removed by the courts, but each year new laws to achieve the same end are enacted. And this does not address the consequences if many courts are controlled by judges that will not overturn voter suppression laws. What resort is left if the courts no longer oppose voter suppression?